Nevertheless, this is might be a handy random fact to know, that you can attach a data (.mdf) file without the associated log (.ldf) file in SQL Server. This post will come in 3 parts. 1. Create scenario (get a test database, stop SQL, copy database, drop database). 2. Restoring without a log file. 3. Errors when attaching (if you get one). 1. Create a test database. 2. 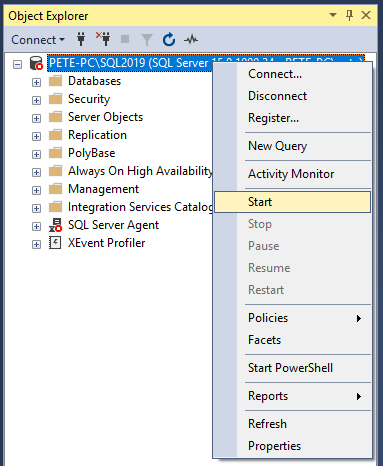 Close down SSMS, or disconnect the query session. 3. Stop the SQL Server Service. 4. Locate the Data and Log files. 5. Copy funkdata into a different location. 6. Start the SQL Service. 8. Yep, the database files are gone. 9. Copy the data file (funkydata) back into this directory. Now, we’re ready to try attach this back into SQL. There’s 2 ways of going about it. 2. Using sp_attach_single_file_db (not recommended). Click here for the code used above. File activation failure. The physical file name “c:\sql\funklog.ldf” may be incorrect. Could not open new database ‘funky_db’. CREATE DATABASE is aborted. 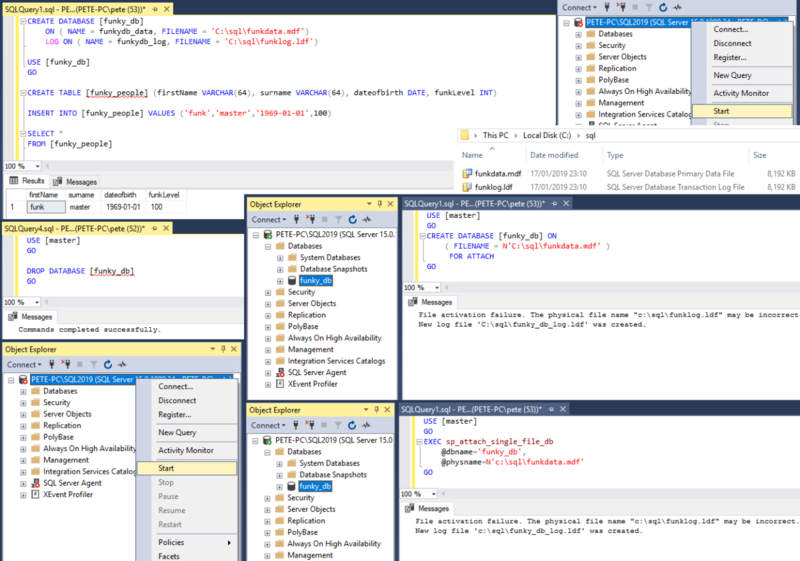 This was due to having a SSMS query window open in the background when stopping the services (Step 2 during prep).